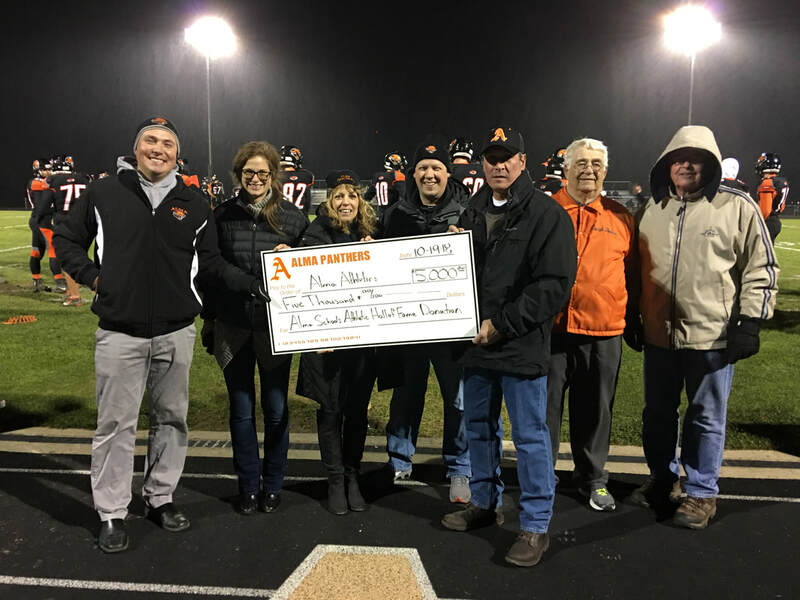 On October 19th, 2018 the Alma Schools Athletic Hall of Fame presented a donation check for $5,000 to Athletic Director Eric Huff for use in Athletic Department Projects at Alma High School. ​These funds were raised through advertising sales for the HOF Sports Schedule Calendars. They are the only calendars officially sanctioned by Alma Public Schools and the HOF annually donates 50% of its calendar revenues back to the AHS Athletic Department. The 2018 Alma Schools Athletic Hall of Fame Induction Class was honored on Saturday, October 13th, at Pine River Country Club. This induction class is the 12th group to be enshrined and brings the total number of Hall of Fame members to 62. Nominations for the upcoming class must be made prior to July 1st. Open the offical HOF Nomination Form for criteria and details. close to $3000.00 to organizations in Gratiot, Montcalm, and Barry Counties. This month, Commercial Bank's "Casual for a Cause" program designated its contributions to the Alma Schools Athletic Hall of Fame Scholarship Fund. As pictured above, Commercial Bank President Kevin Collison presented a check for $285.00 to members of the Hall of Fame Board of Directors. 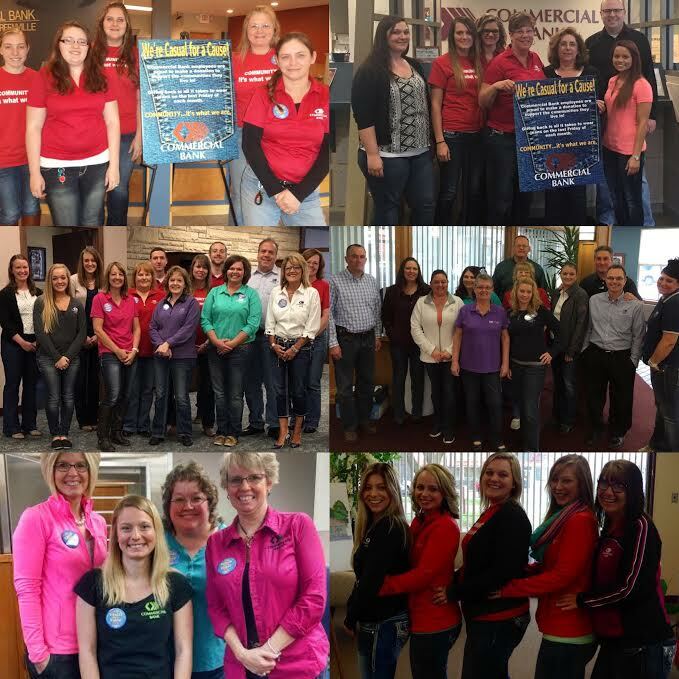 Also pictured are Bank employees who participated in the program. The HOF Scholarship Fund has assisted 12 student-athletes in their pursuit of college and vocational education. Commercial Bank's generous donation will allow the HOF to continue, and to expand upon, this effort. The Hall of Fame extends its sincere thanks to Commercial Bank, and to its gracious employees who participated in the program. 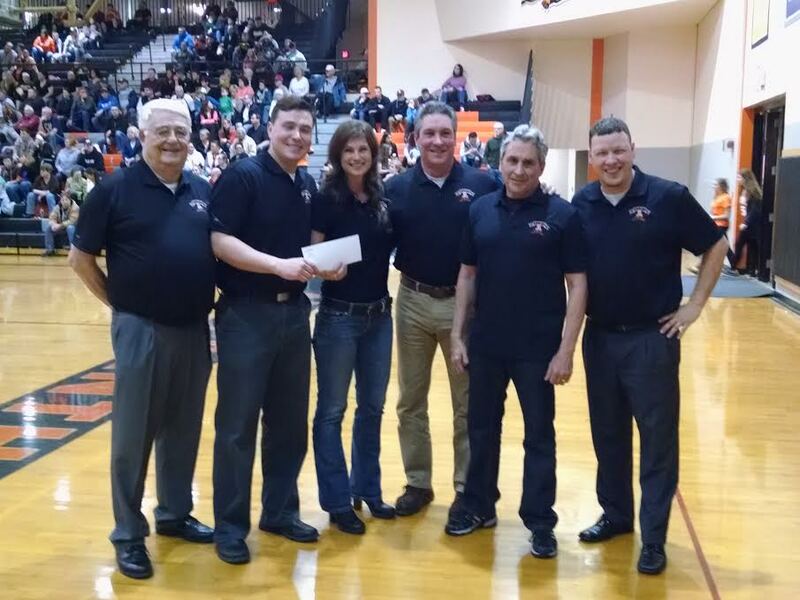 On February 19th, 2016 the Alma Schools Athletic Hall of Fame presented a donation check for $10,000 to Athletic Director Eric Huff for use in Athletic Department Projects at Alma High School. Check out the Hall of Fame bulletin board outside the high school gym. It includes HOF Nominations, HOF Scholarship Applications, Dance Fundraiser Info, and a schedule of athletic events. On October 14, 2014th the Gratiot County Community Foundation thanked the Alma High School Athletic Hall of Fame for donating $10,000 to their scholarship fund. Managed by the Gratiot County Community Foundation, the Alma Schools Athletic Hall of Fame Scholarship Fund awards scholarships to one male and one female student athlete to pursue post-secondary, vocational, and technical education. According to Hall of Fame Board President Mike Miller the program is a further effort by the Hall of Fame to link past athletic achievement with future success. Check out the Morning Sun link to read more. The AHS Archives, sponsored by the HOF, is now located at the Alma Public Library in the local history room. The Archives includes a collection of newspaper clippings, photos, yearbooks, scrapbooks, and other Alma High School memorabilia. Community members are invited to view the collection, and to add their own memories, stories, and artifacts to the collection. GO PANTHERS!